A massage perfectly tailored to you! Choose from either Swedish or Deep Tissue, or perhaps a little of both. Includes complimentary aromatherapy. Experience the healing powers of mother earth. This full body massage is meant to enhance your well being and balance your energy using a blend of warm and cool pieces of petrified wood to heal & sooth your body. An extraordinary rhythmic massage using organic honey infused with oil of rosemary to relieve muscle tension by unwinding the tissue and increasing microcirculation of the body. This harmonizing treatment utilizes an immune boosting Propolis Beeswax Pad & a warm Honey Ginger Massage oil to create a unique relaxing feeling while revitalizing the body. Cupping therapy dates back to ancient Egypt, Chinese and Middle Eastern cultures. It is a therapeutic intervention using suction to mobilize blood flow and promote healing. Blissful comfort for your changing body. Our skilled Massage Practitioners will use special pillows to support your joints and growing body during this scent free full body massage. Great for anyone that enjoys the good things in life side by side with their friend or partner. 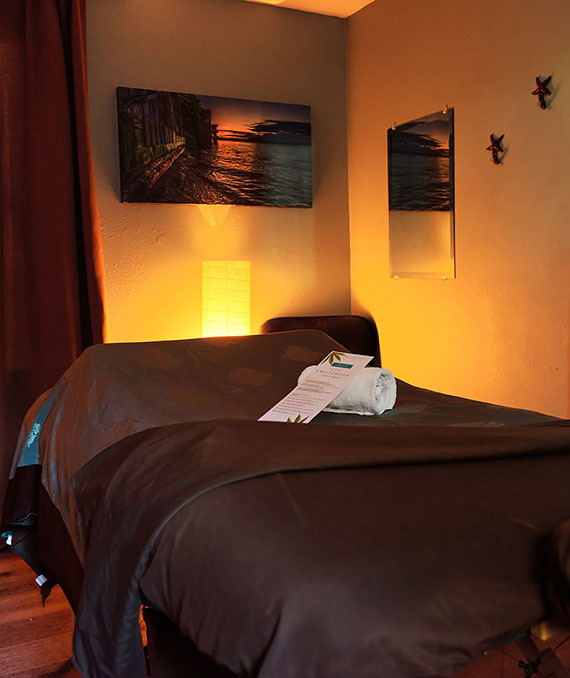 Performed in our largest massage suite with two massage therapists, these full body massage are tailored to your individual needs whether it be Swedish or Deep Tissue or perhaps a little of both. Includes complimentary Aromatherapy. An experience changing with every season! This popular exfoliating full body treatment features a new scent from Farmhouse Fresh each season. A favorite this time of year. This seasonal body wrap exfoliates, detoxifies, oxygenates, and hydrates your skin, creating a healthy glow you can live in each and every season.